A lot of factors go into providing drivers with a vehicle that is able to provide consistent fuel efficiency. By providing drivers with various powertrain selections the 2017 Volkswagen Jetta is able to give different drivers the power they crave while still maintaining great fuel-economy throughout. 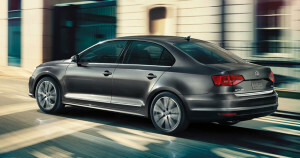 Below we get into the details of the Jetta’s mileage potential and what you can do to keep those numbers high. In total, the 2017 Volkswagen Jetta provides drivers with three unique powertrain options. With each option comes different amounts of potential power, but their ability to provide a high level of fuel efficiency remains the same. Take a quick peek at the different engines and the mileage and power combinations they can offer below. As you can see, mileage varies slightly between each available engine due to the amount of work each has to do to produce their intended power levels. However, it is also easy to see that these changes are minor, varying only two or three miles between levels. Regardless, the 2017 Jetta series is able to consistently produce an admirable level of fuel-efficiency. To keep mileage high there are a number of things that Lowell drivers must keep in mind when driving and maintaining their 2017 Volkswagen Jetta. Below we’ve listed a few things that can help drivers to maintain high mileage for years to come – check it out. Drive Sensibly – Always make sure that you’re following the speed limit and avoiding coming to quick stops or driving aggressively. Each of these activities can lower your overall mileage. Follow Your Maintenance Schedule – Each vehicle, including the Jetta, comes with a guide to how often you should have your vehicle serviced. Be sure to follow these guidelines to keep your vehicle running smoothly and efficiently. Tires and Brake Pad Replacements – Taking the time to make sure that your tires and brake pads aren’t too worn out and replacing them if they are is another good way to keep your potential mileage from taking a hit. Finding a fuel efficient vehicle at a great price doesn’t have to be a chore. At Commonwealth Volkswagen it isn’t since we’re constantly checking the competitor prices to guarantee that we’re providing our customers with the best prices possible. Come shop with confidence at Commonwealth Volkswagen. You can find our dealership located at 1 Commonwealth Drive off of I-495 in Lawrence, but we can also be contacted through our website or by phone at 888-257-7247. *Based on EPA estimates. See www.fueleconomy.gov for details. Your mileage with vary and depends on several factors, including your driving habits and vehicle condition.